Art by Hoorian J., grades 2-3. 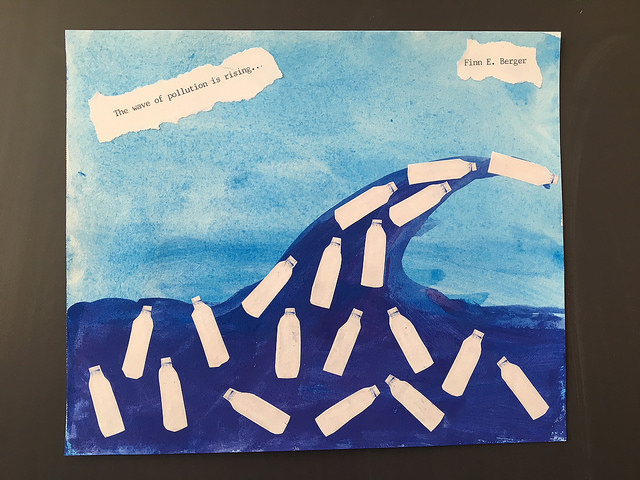 About 75 schools were represented in the contest, which encourages students to focus on one or more educational themes: water as a resource, water supplies, wastewater treatment, ecosystems, and water stewardship and climate change. The contest allows for a wide variety of artistic endeavors, including poetry, paintings, collages, cartoons, three-dimensional models, photography, animation, videos, dance performances and even songs, as long as they relate to water and its many values. 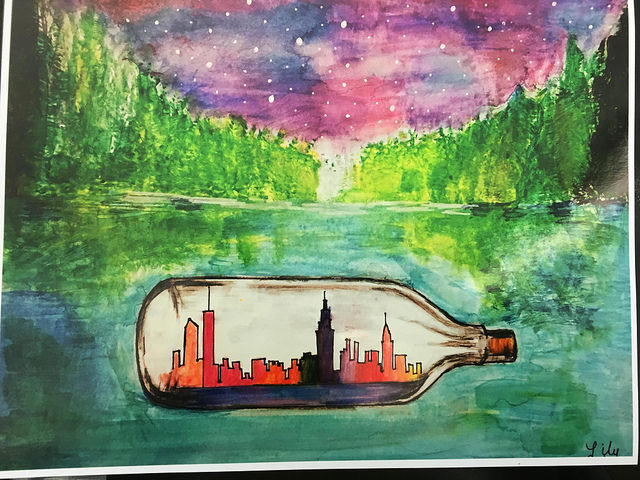 Students were honored at a recent awards ceremony, where the winning art and poetry entries were displayed and where New York officials recognized the young artists and poets for their creativity. The top entries selected by the judges can be viewed on New York City Water’s 2018 Flickr page. 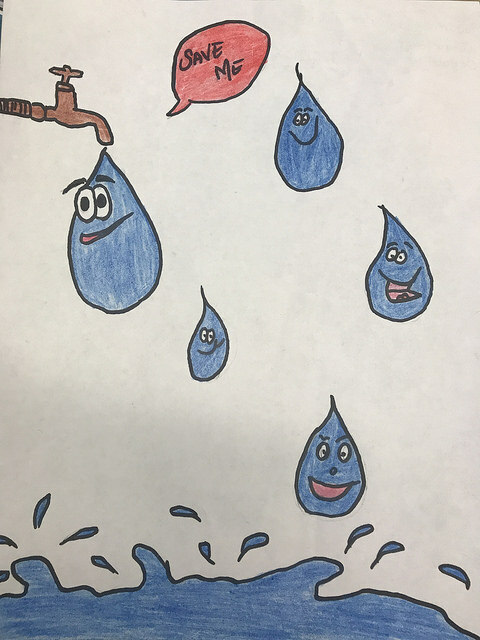 Selected works from previous years can be found on the Water Resources Art and Poetry Contest Flickr page. Art by Finn B., grades 4–5. New York City’s water supply provides more than 1 billion gallons of water each day to 9.6 million residents, including 8.6 million in New York City. The water is delivered from 19 reservoirs across a watershed that extends more than 125 miles from the city. The water is delivered through about 7,000 miles of water mains, tunnels and aqueducts. Sewage is taken away through 7,500 miles of sewer lines to 14 treatment plants. I have been unable to connect with contest officials to see if there is any ranking to the 60 winners, but I have chosen a few of my favorites to display on this page. I have yet to shower. I have yet to brush my teeth.